Wouldn’t you love to be a guest at this dinner party! My friend arranged this delightfully delicious table for a holiday party that welcomed family and friends to his home. 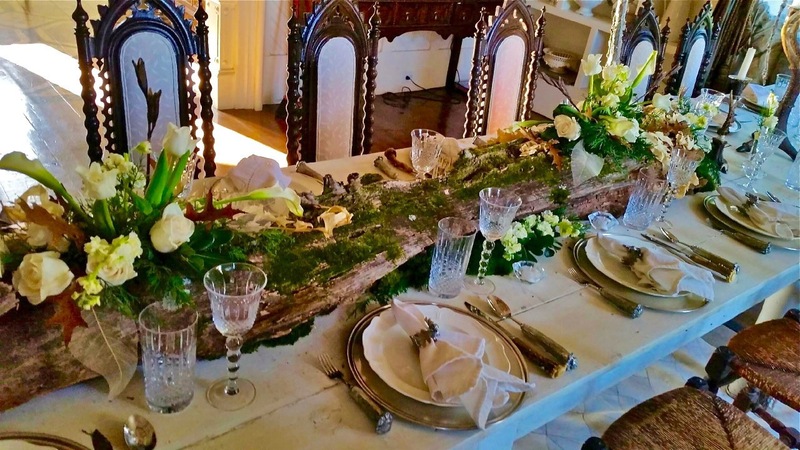 The centerpiece features all white flowers arranged in a wooden planter covered with fresh green moss and stretches the length of the table. 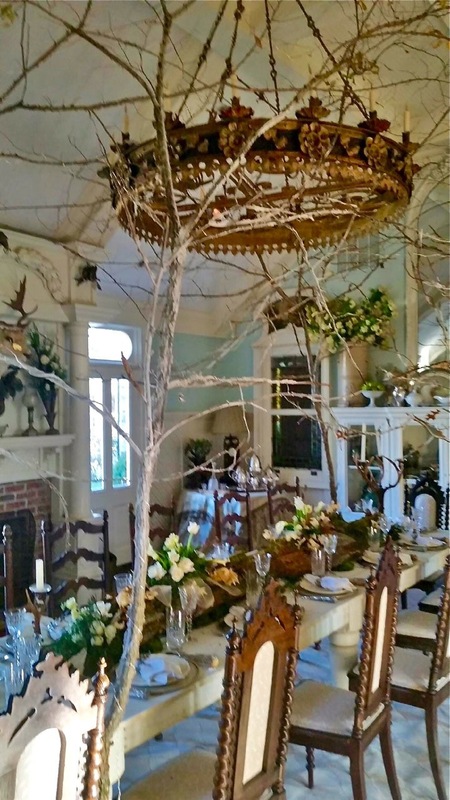 Tree branches reach up from the floor and surround chandelier, one of three, and form a woodland canopy over the elegant cream and white table. An invitation to Camp Boxwoods in Madison, Georgia is an invitation to a wonderful time. All photos by Randy Korando. Beautiful, inviting, and it makes me want to drive to Madison and look at houses! 🙂 Thank you, Lissy, and Happy New Year! Judy, Madison is so beautiful and they have a house tour in May. His tables are always incredible. Lissy this is incredible! You have a very talented friend!! Cindy, He so very talented—you will have to visit his store if you are ever in the area! So beautiful, Lissy. I’d love to have a seat at your friends dinner party! Happy Tuesday!